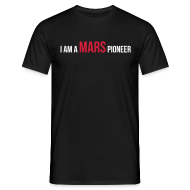 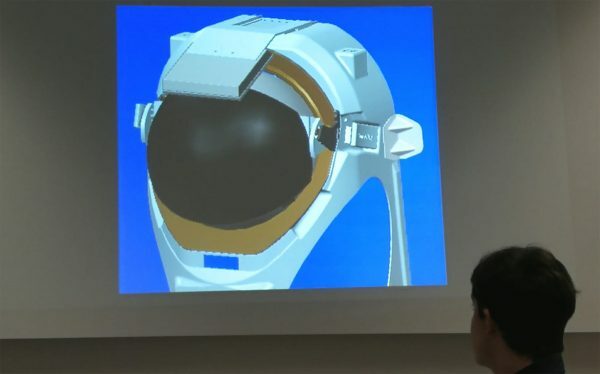 Posted by OeWF in OeWF News, Serenity spacesuit. 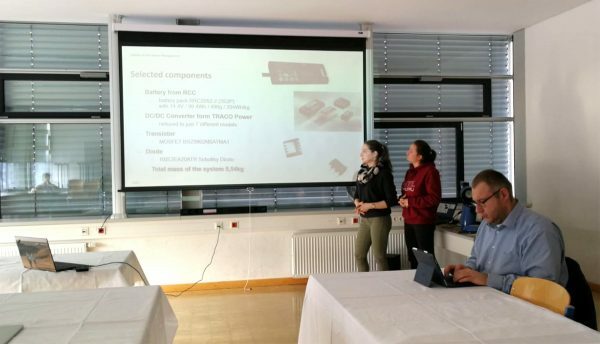 Over the last weeks the “pre-CDR’s” (preliminary Critical Design Reviews) took place in our partner schools. 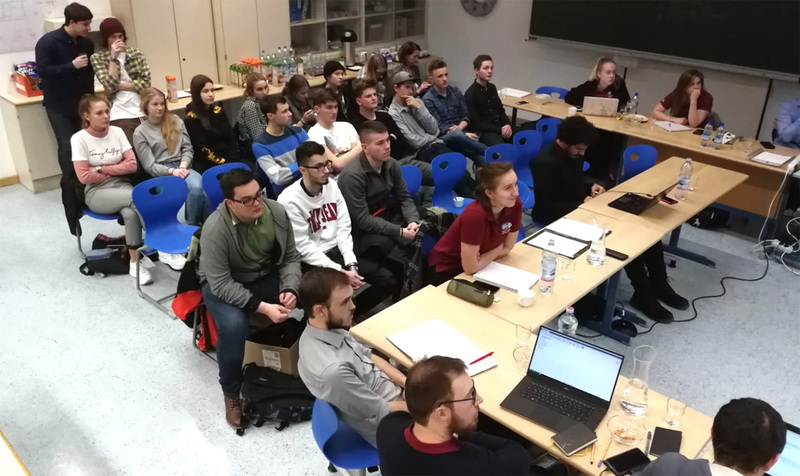 The teams presented their detailed concepts & prototypes for the Serenity spacesuit to the OeWF team leads and had to answer critical questions. 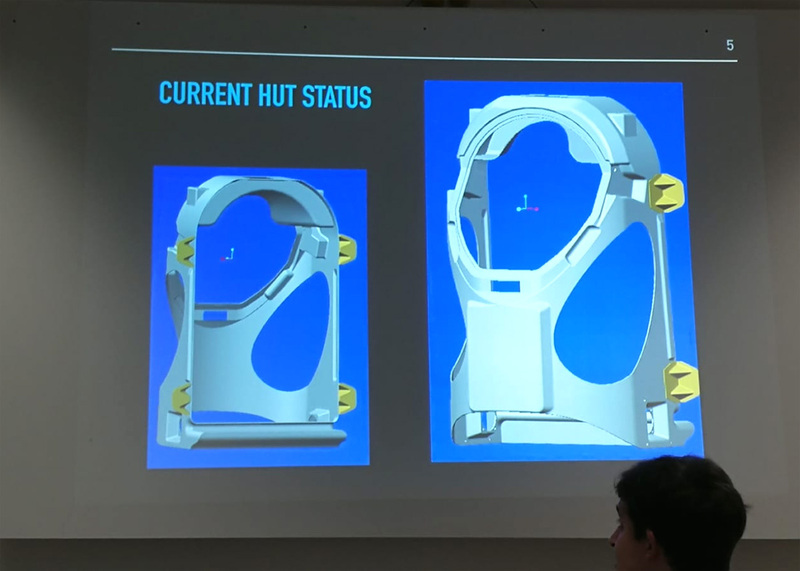 This is an important milestone within the spacesuit project, as subsequent, the implementation of the soft- and hardware can begin. 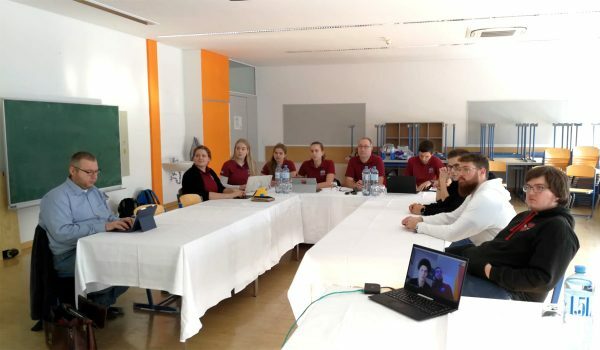 Several teams at the „HTL Braunau“ (technical high school) are involved with the Serenity spacesuit: in team „Power Management“, Magdalena Schaber and Sarah Schinwald presented u.a. the selected components for the power subsystem. The high school students Dominik Bruckner and Lukas Tobisch are occupied with a subtask for the TCS (Thermal Control System) and presented their concept for the ventilation system. 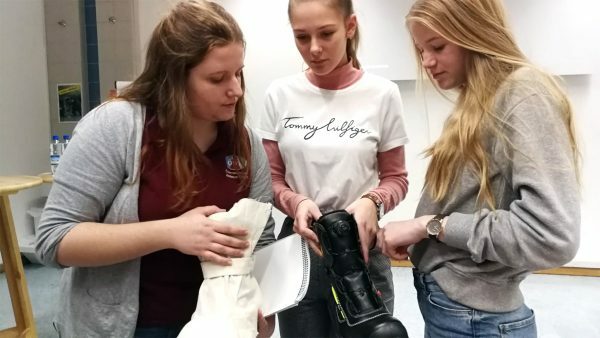 The high school students from the “Ferrarischule” (high school for economy & fashion) can show their competences with the selection of textiles materials for the Serenity spacesuit. Besides material selection for the outer hull also topics like undergarment, gloves and shoes are part of their work package. 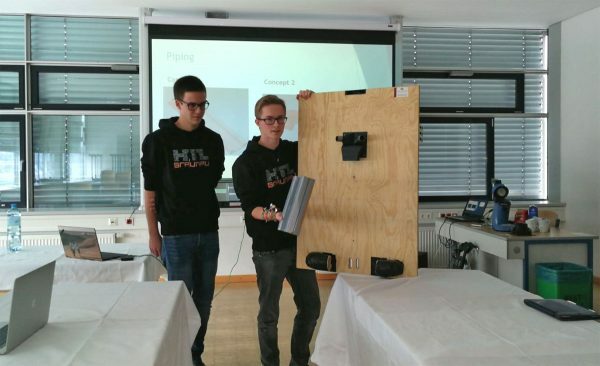 The high school students from the „HTL Anichstraße Innsbruck“ (technical high school) are involved in following subsystems: helmet and suit-port (suit port is the external docking part for the Serenity spacesuit). 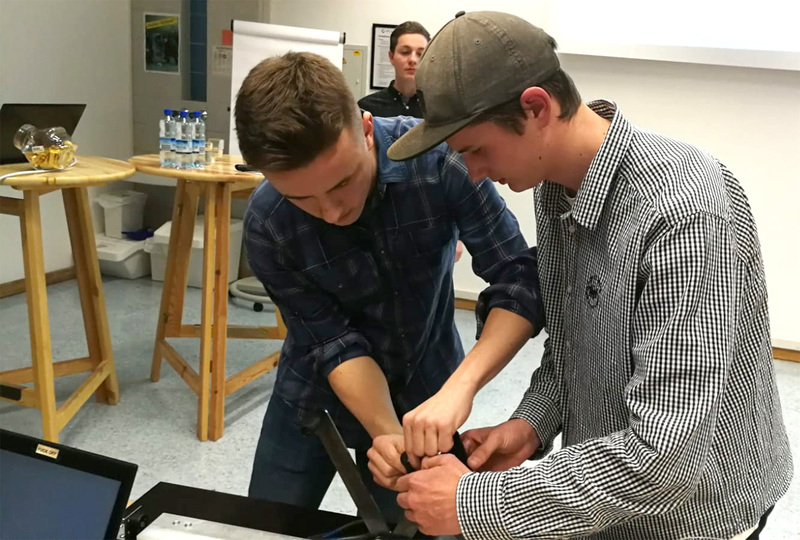 In this technical high school the high school students Patrick Guglberger and Maximilian Guggenbichler are working on the new HUT (Hard Upper Torso) for the Serenity spacesuit. The first CAD models were presented during the pre-CDR.